Violent clashes broke out Thursday in Al-Mahrah governorate between Saudi Arabia’s forces and unidentified armed smugglers, Aden Tomorrow reported. Sixteen armed smugglers entered the governorate in four vehicles when an encounter with Saudi forces led to exchange of gun fire. There was no clear indication on casualties, but one male resident was shot dead on the Mahayfif coast. The smugglers operating near the border of Oman reportedly travelled from Marib governorate and entered Al-Mahrah through the Rumah district in order to transfer weapons and drugs. Saudi Arabia has since levied a prominent presence in Al-Mahrah to monitor the border. “This incident is symptomatic of a much broader problem in Yemen, which is that some of those in positions of power have vested interests in the booming war economy. This means that they have little incentive to end the war. The fact that more than a dozen armed smugglers from Jawf and Ma’rib were able to pass through many checkpoints into the heart of Mahrah suggests that they have people on the inside,” Dr Elisabeth Kendall, senior research fellow in Arabic & Islamic Studies at the University of Oxford, told MEMO. “In Mahrah, I have personally witnessed the effects of a massive increase in smuggling activity. For example, new hotels and new shop fronts have sprung up in and around Al-Ghaydah. These are likely vehicles for money laundering; certainly, locals can’t afford to use them and can only watch and wonder. Mahrah’s economy looks on the surface to be booming but the lives of regular citizens are either unchanged or deteriorating,” Kendall continued. Earlier this week, United Arab Emirates-backed separatist forces handed back two military bases to the internationally recognised President Abd Rabbuh Mansur Hadi’s government. Hadi’s administration called the conflict uptick in Aden a “failed coup” levied by the “so-called Southern Transitional Council” as they attempted to take over the interim Yemeni capital of Aden. 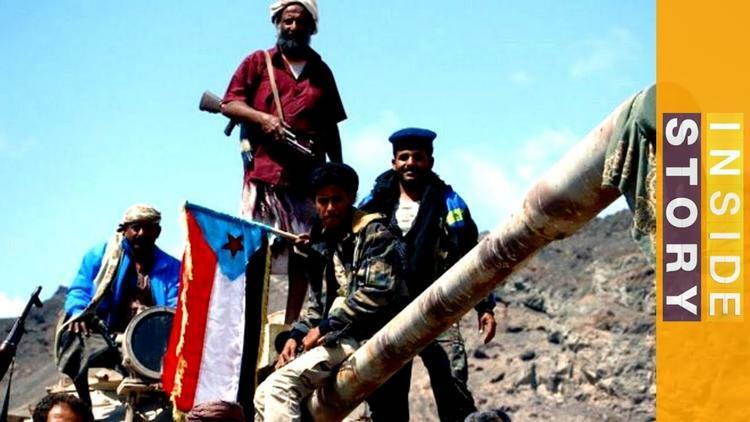 The Southern Transitional Council seeks to secede from northern Yemen. Late last year, the STC passed a resolution to form a local headquarters in Al-Mahrah governorate in eastern Yemen bordering Oman. With conflict dynamics shifting in southern Yemen, Saudi Arabia’s projects in Al-Mahrah governorate is becoming tense. In November 2017, the Saudi-led coalition had an altercation with Al-Mahrah governorate security forces when it prevented Saudi forces from taking control of the town’s airport in Al-Ghaydah. Al-Mahrah’s security committee and elders were forced to mediate the tensions between forces. Saudi forces continue to operate in Al-Mahrah but are required to report on activities to local officials. The Saudi-led coalition was invited to enter the Yemen civil war by President Abd Rabbuh Mansur Hadi in March 2015. Its main goals were to neutralise threats posed by the Houthi group emanating from northern Yemen and support President Hadi’s government. A clear split can be seen between the UAE’s foreign policy in the Yemen civil war, although Saudi Arabia’s has remained silent over the UAE’s change in political focus since 2017. Al-Mahrah governorate, which borders Oman, has remained out of sight of the civil war in Yemen which began in late 2014 when the Iranian backed Houthi group took over swathes of territory. Oman has not intervened in the conflict but has offered to mediate between the parties.